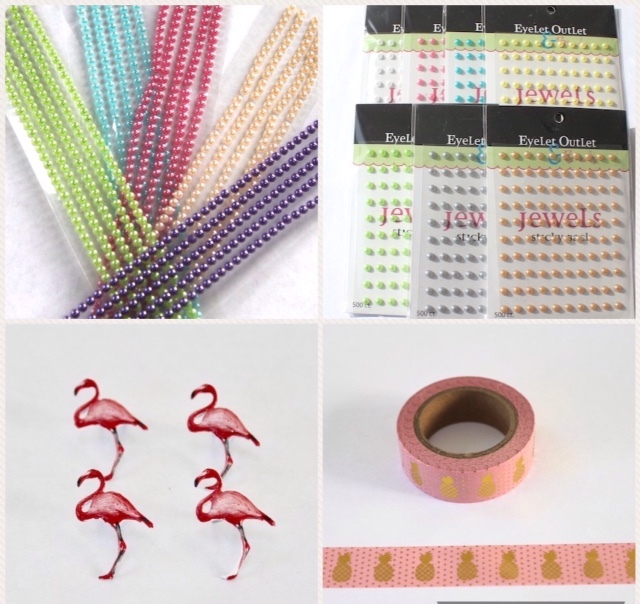 DoubleClick - AKA Abusybee: What could be better than a Flamingo and Pineapple Summer Happy Birthday! Sooooooooooo fun! LOVING that pineapple!!!!!!!!!!!!!!!!!! This card is so cool ! I had to go back and look for the flamingo Brad . 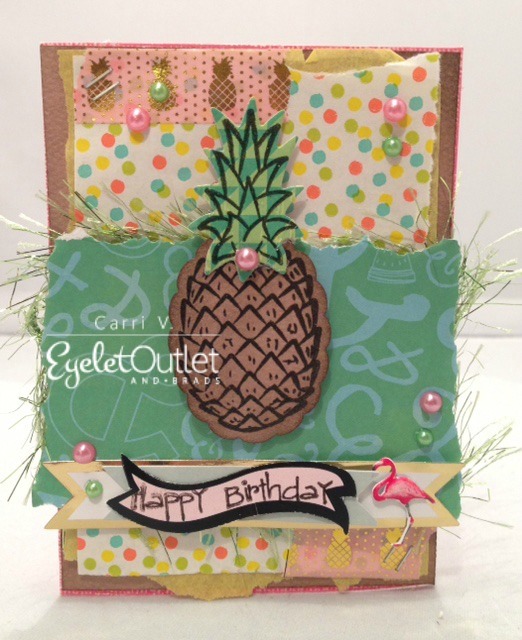 Beautiful card...love your sweet pineapple! Such a yummy card and fun papers Carri!Love this! Wow, school already? That's crazy...Do you even get much of a summer?lol! I am hoping we still will be coming to Phoenix but looks like it may be over break which I believe it Oct 6. I will keep you posted with details soon. Hopefully we can still get together? What a fun card! I just love the design of it and the pineapple theme is so perfect for summer! I can't believe school is already starting! Super fun card my friend!! I love the pretty flamingo brad! What a fun card. Love that fun fur/eyelash trim you have peeking out around your border accent. This is adorable Carri!!! It's awesome that I saw your card... my daughter's 14th birthday is next month and the theme is tropical flamingo! Love it! Hope you have a great day! !